6 x 9 Aubusson Design Chinese Rug 10209 hand knotted wool with French designs. Burgundy background with ivory, pink, blue and green designs. 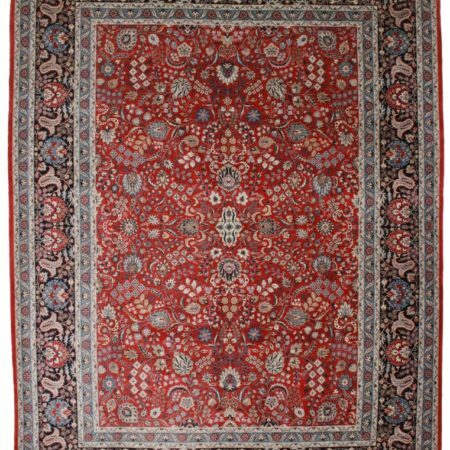 Chinese or Oriental rugs are made of a heavy textile. They can be woven using the pile style or the flat without pile style. 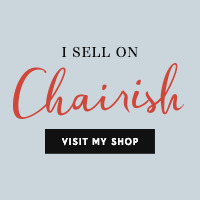 They are made with various material including silk, wool and cotton. They come in different sizes depending on the use intended. This one in particular is a room-sized carpet. Others would be floor coverings, and prayer rugs. Since the Middle Ages, oriental rugs have been an integral part of the cultures origin. Then it became a part of the European culture and later on part of north America. These beautiful rugs are made in what is referred to as the “Rug Belt” that extends from Morocco, North Africa, the Middle East into central Asia and northern India. People from different religious faiths, cultures, countries and racial groups are involved in the making of oriental rugs. 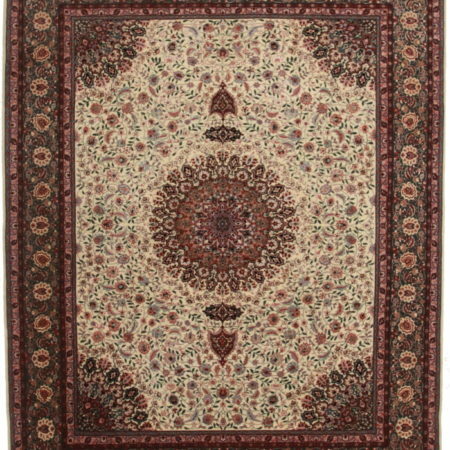 This particular rug has a floral design with symmetrical features. 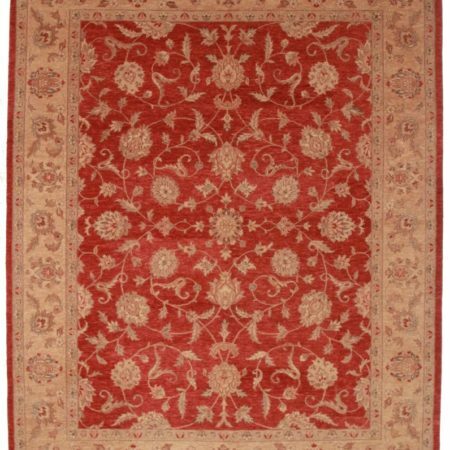 Hand knotted wool with a french design in mind. The background color is burgundy, and in some areas ivory. In the very center the theme of this rug is established with a bouquet of pink and blue flowers with green leaves. 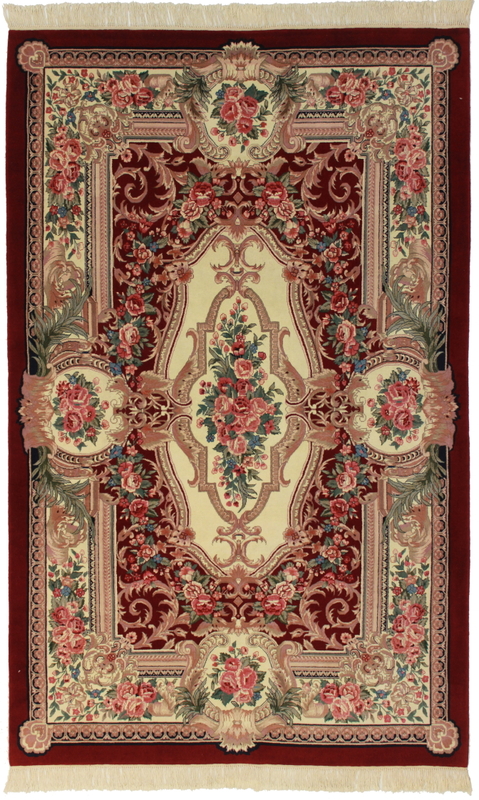 We see this elegant flower pattern used throughout the rug all around. We can note that there is a very well use of lines used as a frame to incorporate the different bouquets and to time them together in one motif. On both ends of the rug we can appreciate the workman’s hand woven, ivory fringes. Another interesting details is how every flower is made unique by the different shades of pink used giving each one a different look. 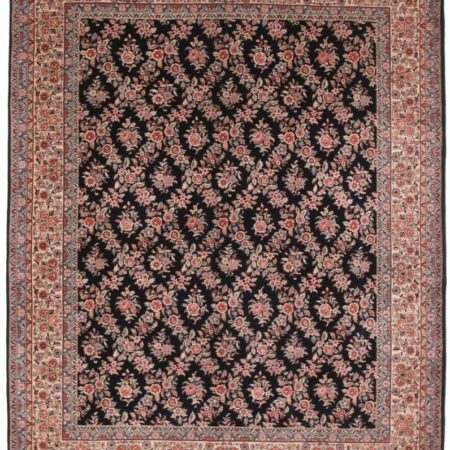 This beautifully made, traditional yet contemporary rug will make an excellent addition to any room. Its elegance is truly a masterpiece to admire!